Passing Credit Card Fees On To Clients: Is It Ethical, Legal or Good Business Practice? What is PCI DSS and Why Do I Care? 1 CE Hour. Guided Reading. Credit cards are becoming par for the course in private practice! Many clinicians know that clients love the convenience, but may be hazy on the legal and ethical issues involved. How does HIPAA come in to keeping card information safe? Are those email receipts okay? Can I pass the fees on to the client? What the heck is PCI DSS and do I have to comply with it? All of those essential questions around regulatory and ethical issues in taking plastic are addressed in this introductory-level guided reading written for counselors, marriage and family therapists, clinical social workers, and counseling and clinical psychologists. Banks and HIPAA: Checks & Credit Cards vs. Receipts & Invoices: HIPAA has a special relationship to banks and financial institutions, and thus we treat them differently when working on our HIPAA compliance. This article explores that relationship and pitfalls to avoid. Ethics of Disclosure to Clients Who Pay With Plastic or Online Transfers: Modern credit card and online payment services make the process of payment very smooth, but they include a number of communicative elements that can put our clients’ confidentiality at risk. This article explores those risks and how to manage them, and supplies a handout item to help you do it in your practice. Passing Credit Card Fees On To Clients: Is It Ethical, Legal or Good Business Practice? : Many therapists shy away from the finance fees involved in taking cards, and wish to pass those fees on to clients. This practice may not be legal, and doing so legally is often onerous. This article discusses the legal ins and outs as well as the ethical ones involved in this practice. What is PCI DSS and Why Do I Care? 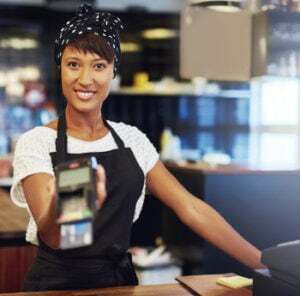 : PCI DSS is what we like to call “payment card HIPAA.” It’s an industry regulation standard that defines how we need to keep payment cards secure and clients’ sensitive payment information safe. This article described what it is and what you’re required to do for it. Holding Client Credit Card Info On File: Why and How To Do It, How Not To Do It: Many private practitioners choose to hold on to client payment card information so they can charge it later. This practice is fraught with issues both in HIPAA and in PCI DSS, but there are ways to make it work. This article explores the issues and presents solutions. Accuracy, Utility, and Risks Statement: The contents of this program are based primarily on publications from the federal the Payment Card Industry Security Standards Council (PCI SSC), the US Department of Health and Human Services, publications from attorneys, and on the ethics codes of these professional organizations: AAMFT, ACA, APA, NASW, NBCC. Some interpretation and analysis presented is made by the presenter, in consultation with knowledgeable colleagues and expert consultants. Statements about applications to technology are according to presenter’s understanding of the technology at the time of the program. The presenter may not know how to apply all principles discussed to every technology type or product. This program discusses strategies for complying with HIPAA, PCI DSS, and covered ethics codes, and for improving security of clients’ financial information. It may not include information on all applicable state laws. Misapplication of the materials, or errors in the materials, could result in security problems, data breaches, or non-compliance with applicable laws or ethics codes. Conflicts of Interest: Program presenter has no known conflicts of interest.